Vehicle Flags are Printed in Full Color on Durable Polyester Fabric with Plastic Vehicle Attachment Kit. 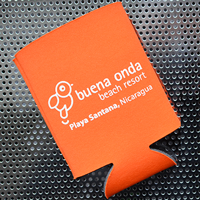 Printed in full color on durable polyester fabric. Flag and plastic vehicle attachment kit included. 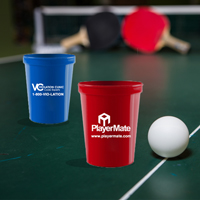 Print second side at additional cost. 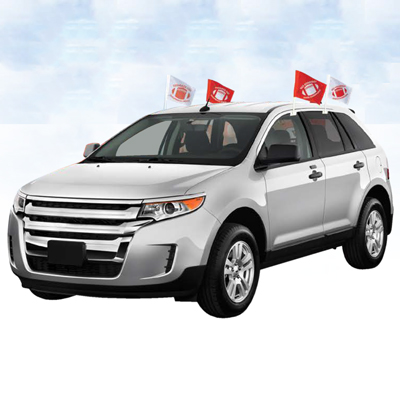 Vehicle Flags: Sport your spirit around town with our custom printed Vehicle Flags. Your flag will be printed in full, captivating color on a durable polyester fabric—you’ve got a 12x18 blank canvas to show everyone else on the road where your loyalties lie. 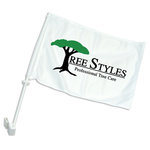 Flags come printed on 1 side, but you can add printing on the second side for a small additional fee. 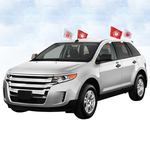 Our vehicle flags come with a plastic vehicle attachment kit and are available in increments of 1, 2, 4, 8, and 12. Each order includes one plastic vehicle attachment kit.